Have you been injured or fallen ill due to conditions at your workplace? Then you may be entitled to workers’ compensation benefits, which is an insurance program that provides payments to employees who have suffered at the hands of their job. If you are eligible, you will be able to receive compensation for things like lost work and medical bills. However, you may wonder what happens in the settlement process and what you should look forward to. Now you can find out! If you received a settlement with your workers’ compensation insurance agency, you can either accept or deny the settlement. If you choose to deny, this doesn’t mean it’s the end of the line for you. For instance, you will still be able to accept what the insurance company is offering and take weekly permanent disability payments. This lasts for as long as the insurance company has indicated it will pay you. You could also proceed to hearing or trial with the insurance company, which can lead to attempting to get higher weekly payments or a higher lump-sum payment. Leaving it in the hands of a judge may not be your best option, however. If the case goes to trial, the judge could end up paying you less than the insurance company was offering. Settlement will guarantee you the benefits without risk of going to trial and losing out massively. If you win at trial, you will not be able to receive a lump sum payment; instead you will be limited to receiving weekly payments for a number of weeks or even years. If you accept settlement, you can look forward to the fact that it saves you the time it takes to wait for a hearing and the hassle of anxiety of attending a hearing. You will also be able to receive money from the insurance company even though you give up all rights to future benefits. You may never use these future benefits so it may not pose much of an issue. You will be able to give up your right to future medical treatment for your injury in many states. However, if there is a chance that you may need expensive medical treatments or surgery in the future, you may not want to waive this right by settling. Another disadvantage may be that the settlement money might be spent right away. This could mean that there will be no weekly payments to help with the possibility of lower wages in the future. What Happens if You Are on Permanent Total Disability? If you are on permanent total disability, it may be difficult to value your settlement due to the fact that your benefits may continue for decades. This means that, if someone is going to value your settlement, they need to keep in mind that there is a present value of your future entitlement to benefits. This is where “present value” comes into play, which is a financial concept that involves determining the value of a future stream of income. It is taken into consideration as if it were all in the bank account to this day. 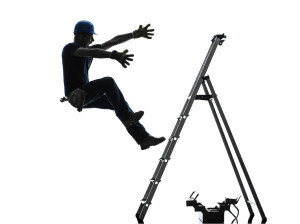 A workers’ compensation judge will have to approve of your settlement before it becomes official in mostly all states. This takes place at an informal conference and you can choose to be represented by a workers’ comp lawyer. If you have no lawyer, the judge might make attempts to make sure a settlement is fair to you. However, the judge might not know your medical history and may be limited to help you. Because of this, you may want to speak with an experienced attorney. If you need the assistance of an attorney that understands complex workers’ compensation law, you may want to contact RAWA Law Group. We will be able to help you with all of your needs throughout the process. There are pros and cons to accepting settlements that you may need to be aware of. Find out more now! What Are My Options if I Was Permanently Disabled After an Accident at My Workplace and Can’t Provide For My Family?